Bauformat kitchens will feature in two show homes at the Ideal Home Show (20 March – 6 April) at London Olympia – the Future Proof Home and the Gap House. The two storey Future Proof Home draws inspiration from Scandinavian style in line with the clean lines of its Swedish architecture. The concept of the house was to create a truly ‘Future Proof’ and ‘zero energy’ home for a modern family. The show home designer is Sophie de Castro, internationally renowned for creating interiors with a unique sense of style. With a modern luxurious feel, the Future Proof Home features on the ground floor the Bauformat Susann contemporary kitchen collection in a high gloss white with contrasting Devine Grey work surfaces. Bauformat kitchens will also be featured in the Gap House, designed by Sophie de Castro – the living space is only just over 3 metres wide – similar to that of a garage or allotment space and is intended to fit into a gap between two buildings. Designed to demonstrate where living space is at a premium, the Gap House can create a unique, innovative and exciting spaces to live. 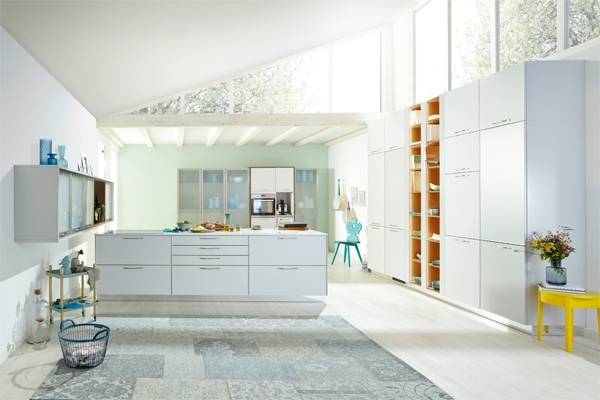 Visitors to the Ideal Home Show will also have the opportunity to visit Bauformat on its dedicated stand to experience its latest modern kitchen design Calais, whilst taking time to discuss with designers their own kitchen ideas and projects.